This week we caught up with Frenchman and Ex Killie forward Jerome Vareille to get his memories of playing in Europe and about his time at Rugby Park. Vareille began his career in his homeland France with FC Metz. Only scoring once in seven appearances for them before heading to FC Mulhouse in 1995. FC Mulhouse are the second oldest team in France. Jerome played two seasons with them and scored 12 goals in 78 appearances. In the summer after our 1997 Scottish Cup victory, Kilmarnock spent our pre-season in France and Jerome scored twice against us in a friendly game. Bobby Williamson offered him a trial, he did well and was offered a contract which he accepted and moved to Scotland. In the next five years to come he would play 113 games for Ayrshire's finest, scoring 16 goals in what would be a very successful period for the club. Playing alongside a very talented group of players including - Ian Durrant, Gary Holt, Ally McCoist and Paul 'Bunion' Wright. 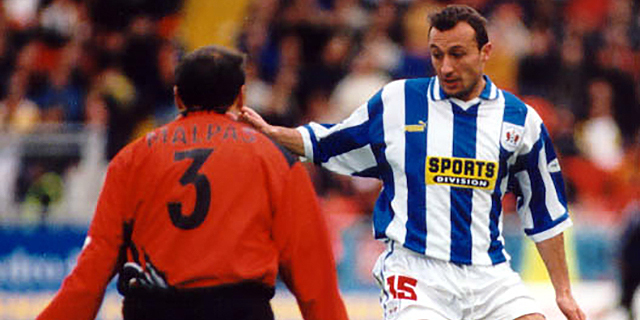 Killie would play in Europe against Kaiserslautern, OGC Nice, Shelbourne and FK Željezničar in his time with the club, and he loved playing against Nice in particular, as he mentions later in this article. Jerome would leave Killie in 2002 to join already doomed Airdrieonians in what would be their final season in existence. He would set a Scottish league record in 2004 at Airdrie United with 4 goals in 14 minutes, a record that still stands today. 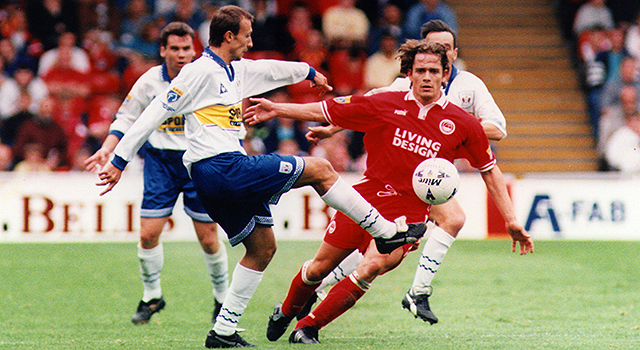 After scoring 29 goals in his 89 appearances for Airdrie during his spell at the club, he left. Vareille then signed with the team South of Symington in 2005. In deepest darkest Ayrshire between 2005 and 2008 (when he was released) Jerome plodded away with Ayrshire's worst team, amassing 19 goals in 82 appearances for the Colins. 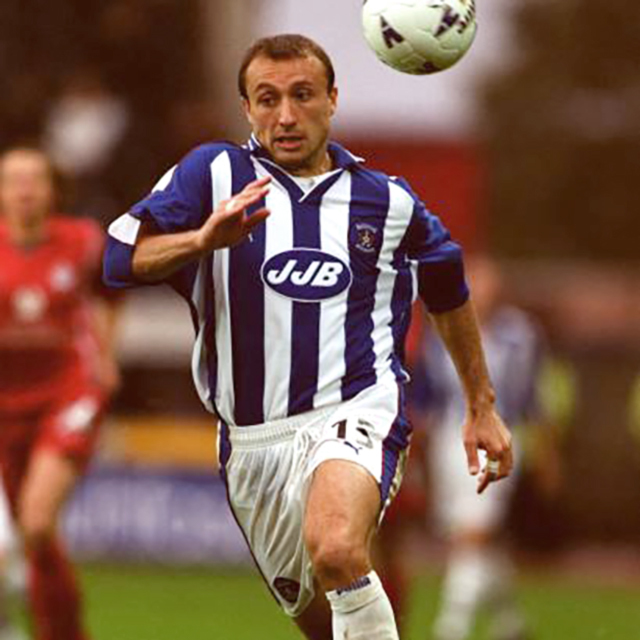 Retiring in 2008, he made 362 appearances in his footballing career which lasted 17 years. In that time he scored 75 career goals with 62 of them coming in Scotland. 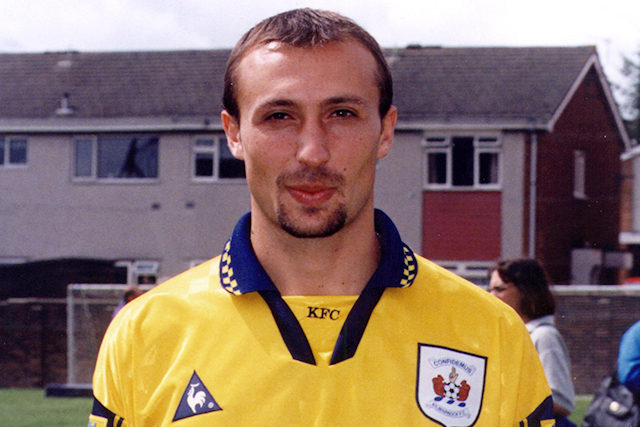 Jerome took a step away from football after his playing days and runs a sandwich shop in Hamilton called Viva. 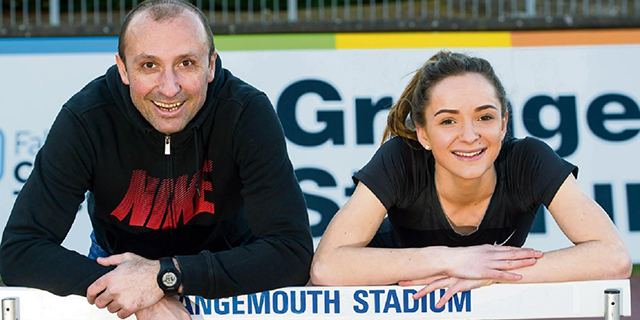 He still follows Kilmarnock's results and thought his time at Killie initially would only be for six months or so, but he has now stayed in Scotland 20 years, considering himself half Scottish. 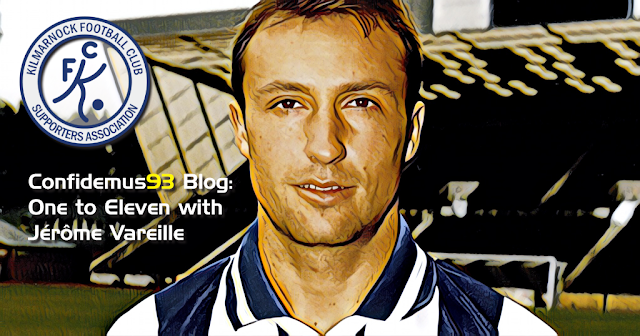 1) As a boy growing up in France, who was your footballing idol? Easy! Michel Platini with St Etienne. When I was seven I used to wear his top everywhere, even when I was sleeping. 2) How did your move to Kilmarnock come about? I was with Ayr United for a weeks trial and didn't particularly enjoy it so headed home. Fortunately at the time Kilmarnock were in France for pre-season training. 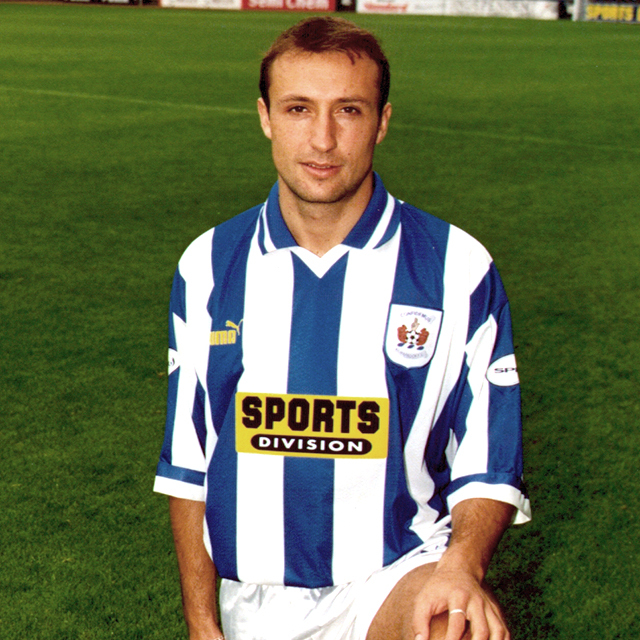 I played a few games and ended up signing a contract with Killie. 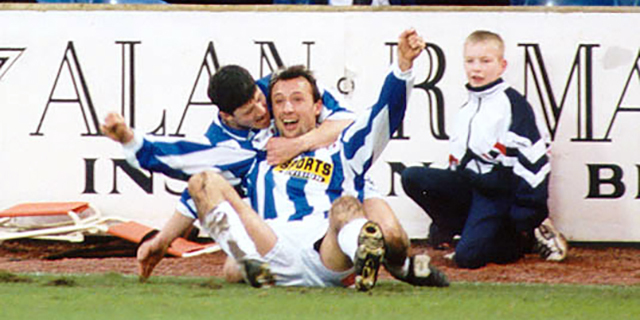 3) Which player or players were the best you played with during your time with Killie? We had a great team spirit at Kilmarnock and played in Europe most of the seasons at that point. Individually we were all pretty talented but collectively we were outstanding. If I had to single out one player it would be Gary Holt, he was the engine of our team and a great player. 4) During your career which player was you most difficult opponent? I will definitely say Bobo Balde with Celtic. He was absolutely huge and very strong. 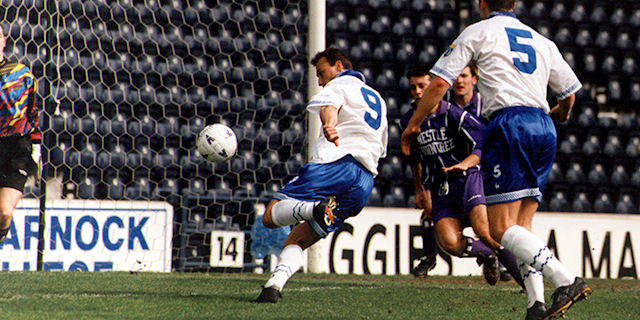 5) Do you have a favourite goal for Kilmarnock? Yes, my goal away at Dunfermline after a four month spell on the sidelines with a shoulder injury. It was a lovely half-volley from 18 yards out, a great finish. We also won 6-0 that day which made it even better. 6) Who were the jokers at Killie when you were there, do you have any funny stories? Not hard to answer; Coisty and Durrant were the main men at that time, they were hilarious together. What is said and done in the dressing room stays there unfortunately. Sorry! 7) Which stadium in Scotland was your favourite to play in? After Rugby Park, I would say Easter Road because of how well I played there in my games over the years. My first start for Killie though was at Easter Road and we went down to ten men quite early that day and I had a total nightmare. 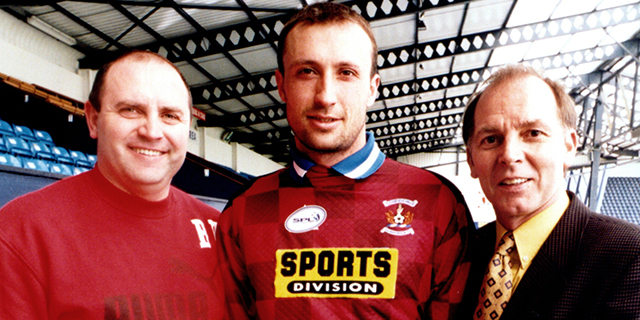 8) You made 113 appearances for the club, do you have a favourite match you played in? I'd say the match in Europe away at Nice in France. All of my family made it down to watch me and the Kilmarnock fans were incredible that night. It was also live on French TV and a massive game for the club. In France we drink a liqueur called 'Pastis' with water and after the game my Dad, who was attending, said he met Killie fans and they were drinking it straight out of the bottle. He was in total shock as it is 40% alcohol! That was very funny. 9) What is your thoughts on Steve Clarke's Killie revival this season? Steve Clarke has totally transformed the club in a short space of time. It shows how important a good manager is to the club. The next few seasons should be exciting and I am sure Killie will be back in Europe very soon. 10) Can i ask you to name your best eleven you played with during your career? I'd put myself on the bench to be polite! 11) Ending on a controversial question Jerome, who do you prefer, Killie or Ayr? I played for Ayr for three seasons in my career but Kilmarnock will always be where my heart is. The years I spent at Rugby Park were my best memories in football. Definitely Kilmarnock for me. And a final message for Killie fans before you go? Keep believing, supporting and enjoying this fantastic club.